One of the most common sports supplements used by athletes and bodybuilders is the powerful supplement Creatine. It is responsible for an individual’s muscle development which in turn results in massive gains as well as leaner and stronger physique. We are all looking for that one nutrition and fitness supplement which will enable us to get positive results fast with next to no downside! With all the buzz surrounding the potency of creatine supplements in producing significant muscle gains, you may be wondering if this supplement can actually live up to its hype. Gaining an understanding on how creatine supplements work in the body will definitely help you in making an informed decision and you’re in the right place. 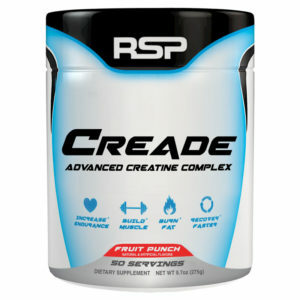 Creatine is a three amino acid peptide that was initially discovered as part of the energy systems on a cellular level. Through time and curiosity, serious body builders discovered that creatine was actually very useful in enhancing muscle building capabilities. The finding was so groundbreaking that news circulated around the bodybuilding community like wild fire, so much so that creatine became and, is still a very integral part of muscle building. 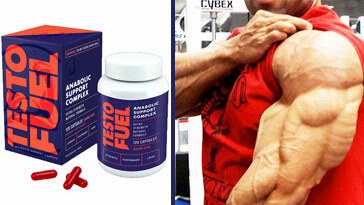 It is one of the first non-steroid types of anabolic ever found. A great number of bodybuilders include creatine in its many forms into their diet or workout regimen. Creatine is an energy supplement that body builders use to build lean muscle. Creatine in small concentrations can be found in food items such as fish, chicken, and beef. Creatine is also produced naturally by the human body, specifically by the liver, as it drives muscle contractions by fueling ATP, which is what produces energy in the muscle. ATP (otherwise known as high energy molecules) contains three strong phosphates, wherein when one of the phosphates break through, bodybuilders can expect a surge of energy production. Creatine functions to replace the phosphates and induces muscle growth. Supplemental creatine increases the sheer volume of available fuel that powers ATP in the muscles. Since ATP is depleted during intense workouts, the supplementation of creatine will prove itself to be crucial. With this conclusion, you can see that creatine will be of little to no use for individuals looking to improve their endurance only, but will prove to be highly useful when performing anaerobic activities found in weight training and resistance training. Creatine supplementation, with the end result of boosting one’s ability and strength, can lead a person to gain increased endurance to stand the rigors of body building. Furthermore, in taking this supplement, a person can improve performance and efficiency in working out, as he will be able to work out all body parts with great ease and flow. Creatine also promotes anti-ageing as people lose muscles and strength through the years. People with neurological conditions such as neurosclerosis and Parkinson’s disease can greatly benefit in taking creatine, as their nerves are strengthened and nourished adequately. Creatine will not cure the disease but it will help them function better and ultimately slow down the ugly effects brought about by the disease. The same effect goes for people with congestive heart failure, where creatine helps to strengthen the heart by enhancing the heart’s muscle. People who have suffered from bone fractures can benefit from creatine supplementation. Creatine helps rebuild the muscle during healing while ensuring integrity and flexibility in joints. Creatine also helps those who suffer Type 2 diabetes as it promotes glucose formation and regulation, thus loss of vision and kidney damage are greatly reduced altogether. Medical research studies discovered that creatine features brain-stimulating properties, too. Older adults were introduced to creatine supplementation and showed significant improvements in mental functioning with continued intake. Scientists entered nursing homes where there are many old people who are suffering from motor and mental degeneration. The scientists added creatine to their diet and assessed changes that may be a result of creatine supplementation. The findings pointed out that before the addition of creatine to their diet, the subjects tested poorly in basic mental functions such as that of solving crossword puzzles. After the addition of creatine to their diet, the subjects show improvement in their mental overall mental functioning. Another test that scientists conducted was done to younger people who suffered from brain damage. After the addition of creatine to their diet and upon careful observation, some symptoms of brain damage disappeared overtime. Creatine has also been tested on mice suffering from brain damage. Results reveal that creatine helped in shrinking the damaged brain cells in mice. In creatine supplementation, there are two phases: namely loading phase and maintenance period. As the name implies, the loading phase simply means to nourish the muscles with creatine by taking up to 300 grams per day. It is crucial to provide large doses of fluids during the loading phase by taking water or non-acidic fruit juice into the equation. The loading period typically runs from four to seven days which is then followed by regular intake of up to 15 grams of creatine per day that which is called the maintenance period. There is no need to add more creatine after the loading phase, as the first seven days are already saturated with creatine. The creatine levels will remain high so long as you stay physically active, performing weight training routines on a daily basis. Cycling – this process involves the intake of up to 15 grams of creatine supplementation for six weeks and then a two week break before starting a new loading phase. 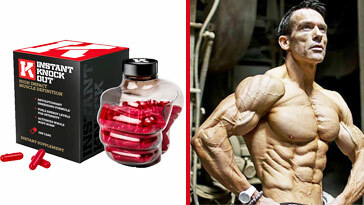 Non-stop supplementation – there is no two-week break therefore this process involves six weeks of maintenance and then a loading phase on the seventh week followed by six weeks maintenance and so forth. Creatine comes in powder and pill form. The choice between the two will depend on your lifestyle and personal preference. However, fitness experts recommend bodybuilders to take it in powder form for faster absorption which in turn leads to better results. 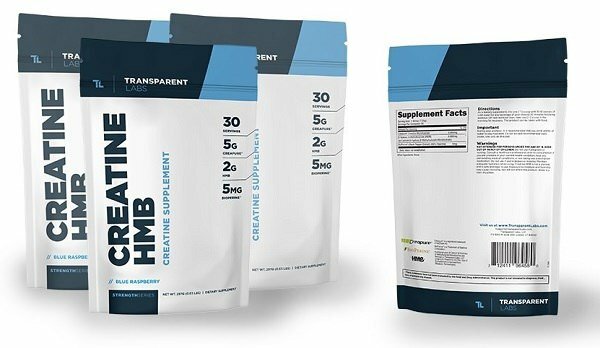 Creatine HMB is a unique and powerful combination of the highest quality genuine Creapure Creatine Monohydrate with HMB leucine metabolite. Together, these two clinically tested ingredients unite to stimulate strength and lean muscle gains superior to either supplement on their own! Increased Strength: Creapure Creatine has been proven to increase strength up to 20%. Reduced Fatigue: reduce rest time needed between sets. 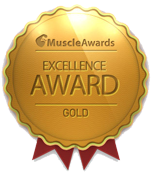 Lean Muscle Growth: Both Creatine and HMB increase muscle protein synthesis in training men. Transparent Labs uses genuine Creapure Creatine made exclusively by AlzChem Laboratories in Germany, in a facility that only makes creatine. Just take Transparent Labs Creatine HMB in the morning with food or with your post workout shake to get all of these benefits. 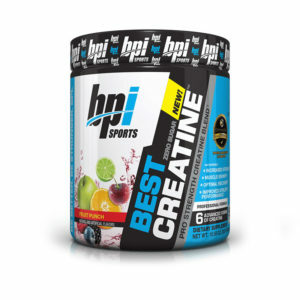 Creatine HMB is available in Blue Raspberry and Unflavored options. Platinum Creatine provides your muscles with the world’s highest quality and most clinically researched form of micronized creatine. Creatine is shown to increase lean muscle and improve strength and endurance. 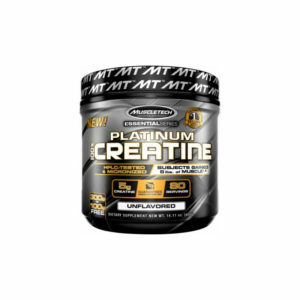 Platinum Creatine acts as a phosphate donor pool to hard-working muscles, allowing you to train harder for longer. That means real gains in size and strength that can’t go unnoticed! In one clinical study, subjects using the dose of creatine found in one max serving of Platinum 100% Creatine gained an amazing 6 lbs. of muscle in just 6 weeks.1And in a separate study, test subjects increased their bench press strength by an amazing 18.6% in just 10 days! Creatine can fuel your workouts, promoting improved muscle gains, increased strength, performance, and recovery. With 6 different forms of creatine, combined with synergistic key ingredients to maximize creatine absorption, BEST CREATINE is your professional strength muscle building supplement. There’s a reason it’s called BEST. All these synergistic ingredients combined make for an unrivaled formula and unmatched results! The CreAde Creatine Matrix contains five forms of micronized Creatine scientifically arranged for maximum bio-availability and absorption. The CreAde Creatine Matrix includes: Creapure, Tricreatine Malate, COPMax and Creatine Pyruvate. This comprehensive Creatine blend ensures maximum absorption and utilization throughout training resulting in increased strength and size. 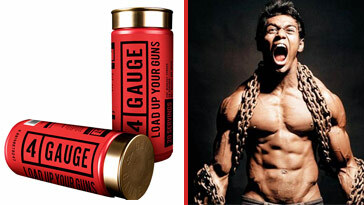 L-Arginine HCL, Glycine and Methionine serve as transport agents that drive Creatine into muscle cells for maximum ATP production and explosive power. The CreAde Transport Matrix enables effective Creatine transport without the need for simple sugars or carbohydrates. The solubility of this product’s comprehensive micronized Creatine complex combined with the Creade Creatine Matrix results in optimal absorption without the need for loading phase. 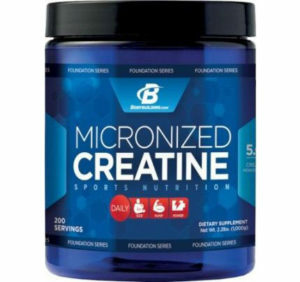 Bodybuilding.com’s Micronized Creatine benefits the body builder by loading the body with creatine monohydrate and saturating muscles with a high-energy compound called creatine phosphate. This provides the body with adequate amounts of energy for longer workouts. Foundation Series Micronized Creatine promotes faster absorption which leads to fast release energy boosts required for long, strenuous workouts. Creatine occurs naturally in the body and is found in small quantities in dietary sources like red meat. Creatine monohydrate works by saturating your muscles with a high-energy compound called creatine phosphate (PCr), which can be used by the body as an immediate energy supply during intense exercise. Creatine also hydrates muscle cells with water, promoting muscle fiber growth. Micronized creatine sets a new standard for creatine monohydrate because of its smaller particle size. In this case, smaller particles mean faster absorption. Because micronized creatine contains particles 20 times smaller than regular creatine mono, it offers what you need, when you need it. 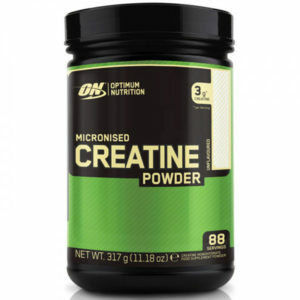 Not only does micronized creatine optimize absorption, it mixes well with any beverage and is incredibly convenient. Creatine fuels intense weight training and endurance activities to push harder, go faster, and recover quicker. In the process, it stimulates lean muscle mass, acts as a support system to prevent against muscle breakdown, and aids in muscle recovery. 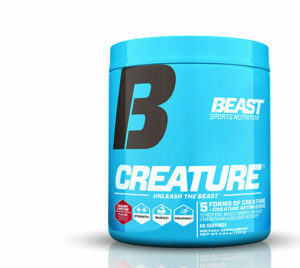 Creature Powder is a blend of five top quality types of creatine. Creapure brand Creatine is imported from Germany utilizing a patented manufacturing process, Creatine MagnaPower is made up of Creatine and Magnesium-bound to form Magnesium Creatine Chelate, Creatine AKG is Creatine-bound to Alpha-Ketoglutaric Acid, and Creatine Anhydrous is Creatine with the water molecule removed. The fifth ingredient is our newest addition—Crea-Trona. This buffered form of creatine delivers a results-inducing ratio of 94% creatine to 6% buffering agent. Alzchem, the German company which also manufactures Creapure, produces this true molecularly-bonded compound. Combined with the other four complexes, Crea-Trona helps Creature truly outperform our competitors. Specifically-chosen, our ingredients’ purity levels are higher so they absorb into the body quicker. This reduces bloating and intestinal discomfort. As part of the reformulation, Creature Powder also includes Astragin and Cinullin to assure maximum uptake directly to the muscle cells. 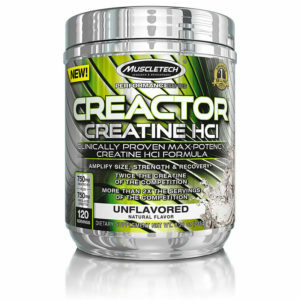 Creactor is a scientifically advanced creatine that delivers a potent, micro-dose of creatine. Each serving delivers 750mg of 100% ultra-pure, laboratory-tested creatine hydrochloride (creatine HCl). Plus 750mg of free-acid creatine – the purest form of creatine, free of acids and salts. This powerful never-before-seen ratio of creatine molecules delivers an enhanced creatine experience! Creactor rapidly enhances your muscle cells’ ability to regenerate Adenosine Triphosphate (ATP). ATP is your primary source of anaerobic energy, so you can recovery faster between sets. During high intensity training, ATP from muscle stores is utilized first. Once this store has been diminished, you need to start generating your own ATP. At high intensities of exercise, this ATP production occurs with the breakdown of phosphocreatine in your muscles. Both forms of creatine in Creactor are engineered for increased solubility. You’ll noticed this the very first time you mix a delicious serving of Creactor in water. It mixes almost instantly with no sedimentation so that no particles are sitting in the bottom of the glass. With Creactor™, you get high-quality, 100% ultra-pure creatine HCl and free-acid creatine with absolutely zero fillers, carbs, sugar or fat. There’s bad creatine and good Creatine. 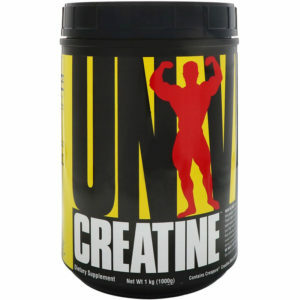 Then there’s Universal Creatine. What’s the difference? Manufacturing quality and form. The only clinically surmised form is Creatine Monohydrate Powder. The best creatine monohydrate is manufactured in Germany. Our Universal Creatine monohydrate powder is a German creatine that’s so pure, it’s patented. It’s one of the finest in the world. ATP (adenosine triphosphate) is the energy source for all muscular contractions (bodybuilding). Each serving of ON’s Micronized Creatine supplies a full 5 grams (5000 mg) of 99.9% pure CreaPure brand Creatine Monohydrate. The patented production method used to produce this creatine yields a tasteless, odorless powder that mixes easily into water or juice, and does not readily settle to the bottom. As a result, the gritty taste or texture you may have experienced with other creatine powders is not associated with this product. 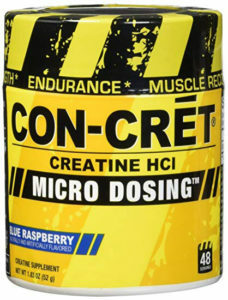 CON-CRET is the original, highly pure creatine hydrochloride (HCl). This unique, revolutionary product is the Future of Creatine. Because of its superior solubility, you only need to take small Micro Doses based on your body weight and the intensity level of your workout. CON-CRET is for men and women looking to enhance workout performance.CON-CRÈT helps promote muscle growth, build lean muscle, improve endurance, and accelerate muscle recovery. Most people believe more is better. Contrary to popular belief, with CON-CRETless is better. Because of CON-CRET’s superior solubility, it digests more easily resulting in greater absorption and uptake into the muscles. There is no need for heaping portions that typically sit in your gut and cause negative side effects. Smaller Micro Doses based on body weight and workout intensity is the only way to go! Rich Piana’s philosophy is that if you are gonna’ do it- let’s do it right! 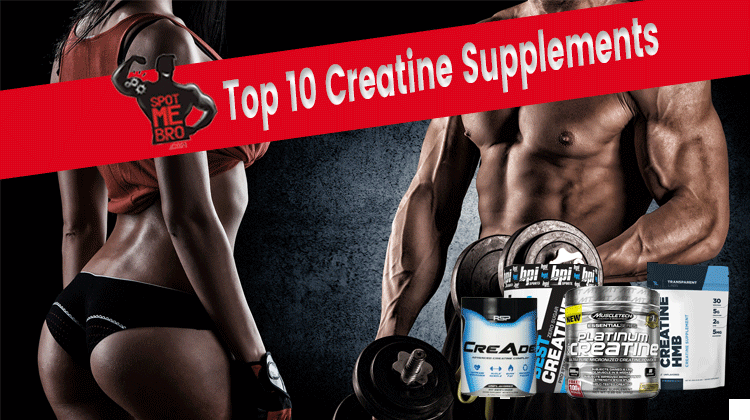 No product in the bodybuilding supplement market has been more proven to work than Creatine. 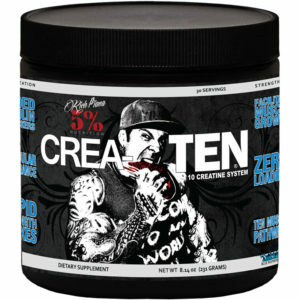 Crea-TEN’s 10 different types of creatine means you now have 10 avenues or pathways to get creatine to your muscles. Why have 1 when you can have 10!!! If you are looking to truly harness and capitalize the amazing benefits of creatine the best way you possibly can, Crea-Ten is the obvious, smart, and only choice.